I had my first psychotherapy sessions when I was eight. I’ve been told I was a difficult child to parent; in fact, I recall seeing the book, “The Difficult Child” lying around the house. So difficult was I that I was sent to a psychologist. I don’t know what the psychologist’s official diagnosis was, but I’m sure it wasn’t bipolar disorder. Back then, bipolar disorder simply wasn’t something children had. But phones didn’t have buttons then, either. Maybe today, a difficult, angry child would be diagnosed bipolar; then, my parents were told I was jealous of my sister and sick of hand-me-downs. This isn’t a story of my life in therapy, though. Let’s just say that, over the course of (many) years, there were a bunch of therapists–psychologists, social workers and psychiatrists among them–and a single recurring diagnosis: major depressive disorder. I knew drugs were available and I knew I didn’t want them. Maybe it was the memory of visiting my uncle, who had schizophrenia, when I was a child. We visited him at the hospital where he was being treated. My memory focuses singularly on the Coke can he held. I was fascinated that nothing spilled despite the continual, significant tremor in his hand. So, I did therapy, not drugs. Until the day I realized I’d been talking about the same issues–in one way or another–over and over again for years. My own pain was beginning to bore me to tears. I decided to try drugs. My therapist kept referring to them as medication; she was particular that way, and referred me to a psychiatrist. 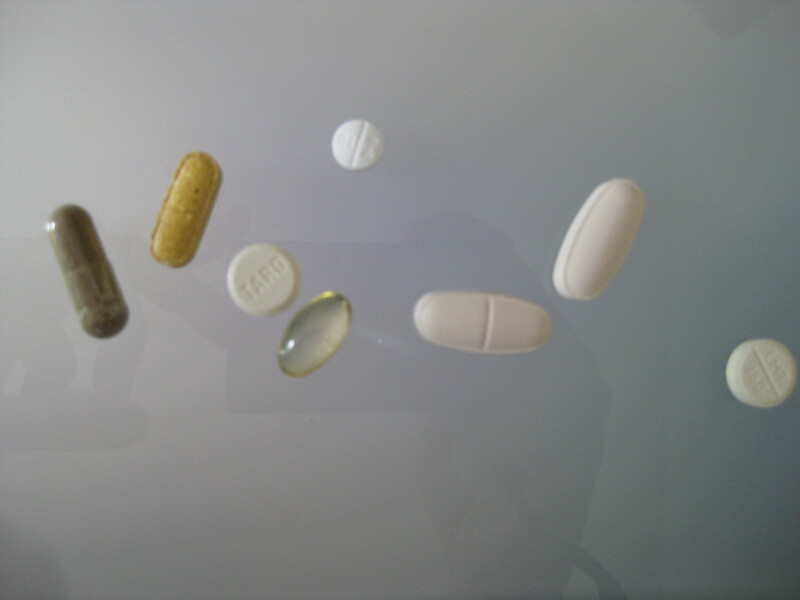 I started on Wellbutrin in 2001 and it started helping fairly quickly; I remember the day I first noticed. I’d become so accustomed to being depressed that I almost missed it, but there it was one say: I didn’t feel like crawling back to bed, like hiding in a cave, like running away from home. I didn’t hear a choir of angels or want to dance down the street, either. I just didn’t feel sad. I liked it. Then, the tremors started. That, I didn’t like. So, Dr. S and I decided to switch meds. By now, I was using the insider’s lingo for psychiatric drugs: meds. Next up: Celexa. And it worked pretty well…for a while…until it didn’t. So, we switched again, this time to Lexapro, Celexa’s newer, sexier, pricier sister. And it worked pretty well…for a while…until it didn’t. With three down, Dr. S decided to do something I didn’t think shrinks did: he admitted he might have missed something. So we went back in time, reviewing my history–all of it. This time, he made another switch, changing my diagnosis to Bipolar Disorder II. He calls it Soft Bipolar, insisting that just calling it “bipolar” freaks people out. I remember him saying, “Don’t say that,” when I referred to myself as bipolar. “People get all…” and he waved his arms wildly about his head by way of describing what all people get when they learn someone is bipolar. But, people “get all…” when they hear Soft Bipolar, too. Bipolar is bipolar. I started Lamotrigine, a commonly prescribed mood stabilizer, in 2007. And it worked. It’s still working. The lows are higher, not nearly as debilitating and never lasting very long. We tried eliminating the Lexapro, but it seems it just can’t quit me. Without it, even the little bit I take, I’m prone to rage–not really a parenting best practice. So, the Lexapro stayed. I wasn’t thrilled about taking two meds, but I wasn’t thrilled about losing my temper, either. For a while, I was chugging along pretty peacefully, not too low, not too high, ’til I noticed I wasn’t really high at all. In fact, you could say I was living just above the emotional poverty line; I missed my hypomania. Dr. S decided we should add the Wellbutrin back to the mix and I found myself exactly where I never wanted to be: in the medication cocktail lounge. One medication was great, two was understandable, but three? And one of them the stuff that made my hands shake so noticeably that I tended to keep them in my lap in public? I remembered the Coke can and I balked. By balked, I mean I said, “No way.” I am also fairly difficult to unbalk.You’d have to see my shrink in action to believe it, but he convinced me that three’s company when it comes to my meds. He was right; I’m stable–amply productive, emotionally secure and only I know the tremors are there. I wouldn’t say I have a love/hate relationship with my meds. Sure, there are days I hate having to take them, remember to take them, go pick them up, remember to pick them up, forget to pick them up. But, I’d say ours is more of a resignation/resentment relationship. I have what’s known as a “long-term condition” and will likely be taking my meds “long-term” as well. In other words, I’m on the perpetual refill program at Target and will be for life. But, partially thanks to my psychiatrist and my meds, I have a life–a fine one. Note: I have the best psychiatrist in the world. I realize am a quite fortunate to be able to say so but owe my good fortunate solely to luck and my therapists good judgement. Still, I know finding a good psychiatrist is almost as difficult as finding a good life partner. But just like dating, finding a psychiatrist is a process of trying on relationships until one fits. If you don’t feel comfortable with your psychiatrist and have the ability to do so (insurance–necessary as it is in the US–can significantly restrict choice), find another. As I read this, one of my first reactions was that Dr. S sounded like a wonderful doctor. Your admiration and trust for him came through in your storytelling, without you having to come right and say it. I can identify with not wanting to be on meds. I balked at it for my anxiety for such a long time. And even though I wasn’t wild about it when I was on them, I am forever grateful for what they did for me, and to my OB who was the one who found the right meds for me. Glad to hear you have found some acceptance…even better that you are feeling the way you want to. Thanks and likewise to you. Meds are a necessary not-quite-evil at this point. Dr. S is, indeed, a wonderful doctor. He’s also hilarious. I’m so fortunate to have him. Kudos to your OB for knowing the right meds! This is such a great description of what it’s like to find yourself going from no meds to a full cocktail. I thought I was a one-med kind of girl until several attempts at one med failed. So I’m on a cocktail, too, and cross my fingers – for now it’s working well. And I’m so grateful for the meds and their ability to give me the strength to work through the other stuff in therapy. I will likely be on meds for the rest of my life and that idea no longer torments me like it used to. I think it has something to do with “acceptance”. Ah, yes, acceptance. Things are so much easier when we stop fighting. A very thoughtful description of your struggles to find the right balance of medications to help you. I am also reluctant to take medication. I think our culture has such a love/hate relationship with drugs, and stories of side effects, dependencies etc. scare us off. Then there is the stigma associated with a mood disorder or other form of mental illness. I applaud you for not only taking the steps to be well, but for having the courage to share that journey with us.